Dr. Schechter is board certified by the American Board of Obstetrics and Gynecology. He received his bachelor of science degree from The Johns Hopkins University and was awarded his medical degree from New York University School of Medicine. He completed his residency in obstetrics and gynecology at St. Luke’s – Roosevelt Hospital Center in New York City. Dr. Schechter has been practicing with Putnam Gynecology and Obstetrics at Greenwich Hospital since 1992. He has a particular interest in the care of normal and high-risk obstetrical patients and in laparoscopic gynecologic surgery. He is a Fellow of the American College of Obstetrics and Gynecology. Dr. Schechter has been named a Top Doctor numerous times by Castle Connolly and has been listed in New York Magazine, Greenwich Magazine, Stamford Magazine and others. 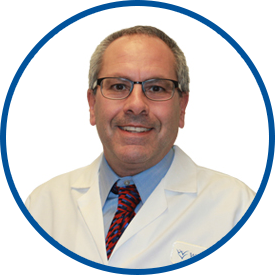 Dr. Schechter is conversant in Spanish, and he joined WESTMED Medical Group in June 2015. I could not be more fortunate to have such an incredible doctor like Dr. Schecter. The time that I spent with my Doctor was informative and I would say, ideal in information shared and the care that was shown. Dr. Schechter is an amazing OB/GYN--one of the best out there. Everyone from the reception desk to the nurses to the doctor was phenomenal! They were friendly, thorough, professional and made it such a wonderful experience. I would absolutely recommend to all my friends. dr. Schechter is the most amazing OB I ever had. he was there for the delivery of both my children and I couldn't have been more lucky. such an amazing doctor - I cannot praise him enough.